Why Do Online Businesses Need Live Chat For Their Website ? Home / customer services / Why Do Online Businesses Need Live Chat For Their Website? 1.) I have a physical store, a Facebook page, a website and a helpline number. How much more do customers need? It is not enough for the modern day customers. What happens at a physical store? There is a sales person who helps the customers with every query before they buy. A customer can have a wide range of queries regarding a buy. It is very logical because the customer is paying for it. They need someone to answer the questions that arise in their mind. This is why live chat support should be integrated in each and every website to take the customers into confidence and convert the prospects into good sales. 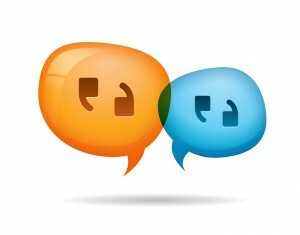 A recent survey suggested that companies offering live chat services experienced a 19% increase in their sales figures. A helpline number is good for certain technical questions, but for pre-sales queries it is a too long process that involves a lot of time. If a prospective customer has to wait in queue to have a basic question answered, more often than not the person will move to another brand. In terms of the Facebook pages the problem is a bit different. There are many companies who are very alert on social media. They answer to the customer queries in no time at all. Their suggestions are timely. But the problem here is, not everyone wants to raise questions in a public forum. They want personal help. So, Facebook is not capable of meeting their needs. This is where the chat support is so important. The prospective customers can talk with the customer support in a private channel which would mean they get personal attention. Personal attention pleases anyone and everyone. So, you should not think of having a web store without live chat feature in it. 2.) Live Chat is not important for my customers; they are more comfortable with helpline number. So why should I think of this new technology? There are some business owners who have a keen interest in the live chat services, but they are afraid that all the money would go waste as their customers are not ready for the technology. Well, this is surely a conservative thought. Today’s customers are spending a whole lot of time on social media and chat windows. They are chatting away with their friends and relatives. They are using this technology at their work places too. Furthermore, the customers understand the hassles of connecting with a brand through the helpline numbers. They do not have the time to wait in queues listening to the hold music. In that time they may actually make a successful purchase. If you think that the customers will be reluctant of using chat support than you are way back in time and thinking. Unless your products are strictly for the elderly (then again the elderly are glued to chats!) you are missing out on a huge sales opportunity by being conservative in your approach. A recent research suggested that the sales chances goes up by many folds if a customer at the point of making a purchase can have someone at the other end answer back to their questions. This not only helps in the sales process but improves the overall customer satisfaction. Thus live chat is an essential tool for technical support, online ordering, appointment setting, enrollment, retail banking and many others. 3.) Most of my competitors are not using chat services, so why should I bother investing in chat integration? There are many businesses who rely on their voice support which they have entrusted to outsource customer services partner. But they are missing out on a large number of sales prospects every day. Brands have to keep in mind that the customer mindset and behavior is changing with the evolution of technology. Nowadays, customers are getting in touch with the brands through various touch points. Chat services are an inseparable and very important part of customer services. If your competitors are not using chat support then they are leaving a wide marketing area vacant. You should be quick to tap into this opportunity. Isn’t business the name of staying ahead of competition? As you can see chat support is a necessary service for the businesses that care about their profits and their customers. 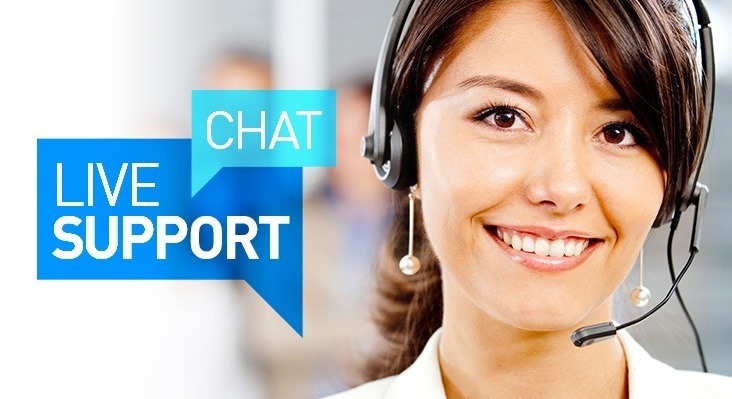 Chat support can help the customers make an informed choice of product or service. It can also help brands keep the customers happy with quick answers. It is time for all online businesses to embrace this technology and give their business a new dimension. So have fun!